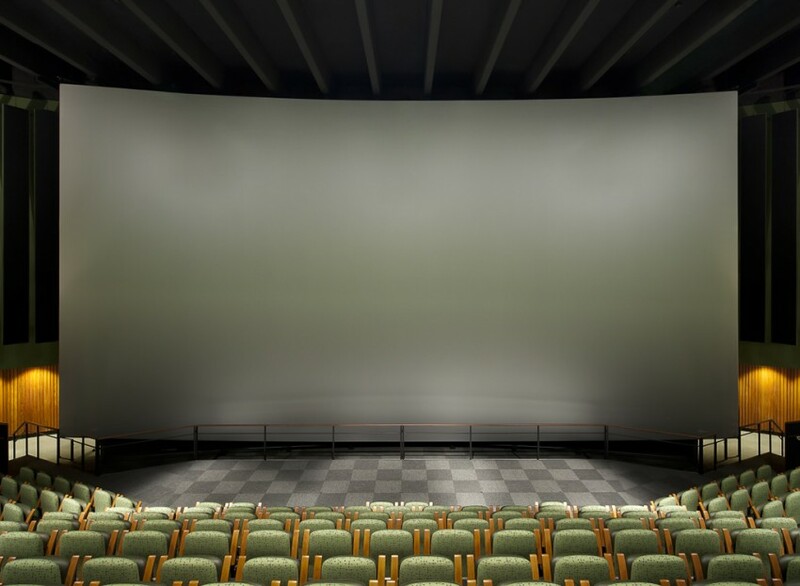 The Pacific Science Center Paccar IMAX Theater is the complete makeover of the former 32 year old Eames IMAX Theater housed inside the yet even older Cyclorama, a relic of the Seattle 1962 Worlds Fair. 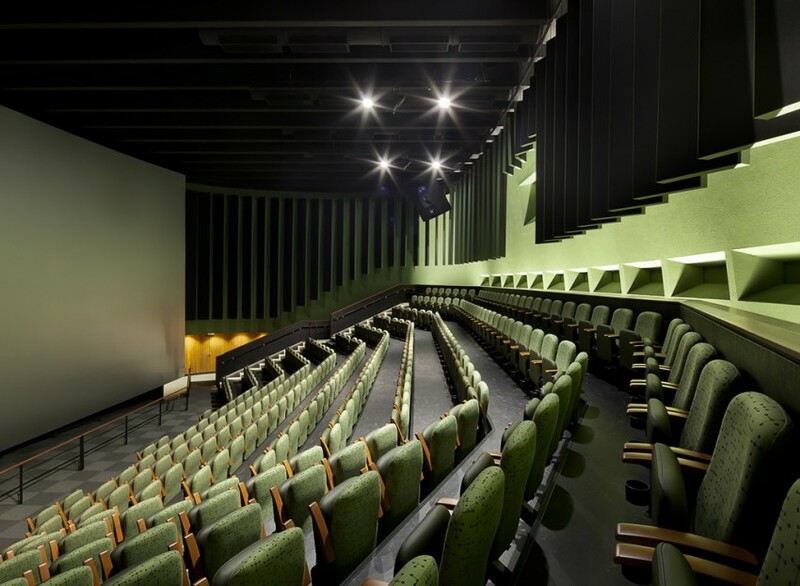 Completed by the Rafn Company, the renovated 325 seat theater is equipped with the latest IMAX 3D projection technology and sound system, and is designed as a state-of-the-art venue for lectures, debates, and multi-media presentations. 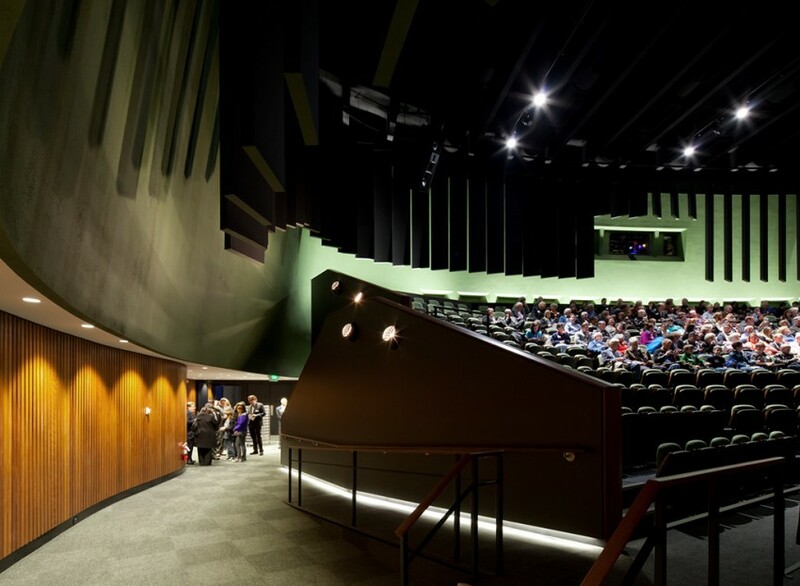 Work included new seats and finishes; stage platform; extensive acoustical treatments; and new video projection, mechanical, electrical, and lighting systems. The central challenge to the project was access to the high work within the oval shaped space. Sound walls needed to be constructed between the webs of the roof precast beams, and abutting to the top of the Cyclorama so as to isolate the theater space from the surrounding building shell. A curving support rail from which the acoustic fin panels were hung was also attached to the tee beam ceiling, as well as armatures for screen frame support, and large speaker platforms. Acoustical insulation was installed between the beam webs, new exposed spiral HVAC ducts installed, theatrical lighting trusses hung, and all painted black. In addition, the surrounding multi-planar Cyclorama wall required patching and painting, as well as an enlarged projection port opening. The simple yet elegant solution to provide access for all this work simultaneously for multiple trades was to build a scaffold supported work deck just a few feet below the roof tee beams. The big story with this project is the success that comes with working with an owner, architectural team, and consultants who value collaboration and working out the details in preconstruction. Success also came in large part by working with enthusiastic and creative subcontractors and suppliers, and by resolving any issue that might cause perceived risk or difficulty in the performance of the work. 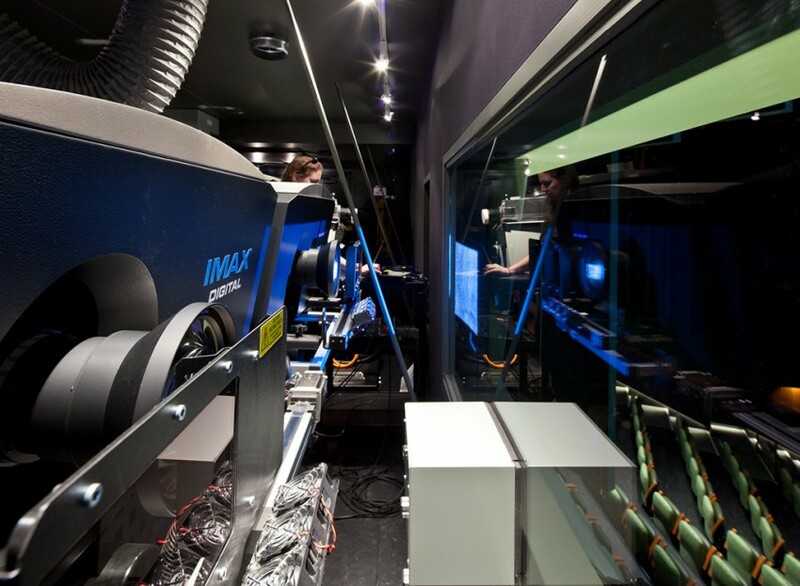 The challenge of installing the most state-of-the art IMAX theater into a landmarked and less-than ideal existing space was very real for the entire design and construction team. Rafn Company is a leading commercial general contractor in the sustainable building industry in the Puget Sound region. Founded in 1978, Rafn pioneered the negotiated referral based business model that allows us to work as true partners with the developer, architect, and consultant team on all of our work. Copyright © 2018 Rafn. All Rights Reserved.